Writing a will is never an easy thing. Chances are you may be part of the 60%# of people without a will. Are you part of a family? 77% of families with kids below five have not prepared anything. Even between 55 to 64, chances are that you have not, either. Not having a will is something that can unleash hell on unsuspecting families. Under the grief of one’s loved one, you may still have to face haggling with others to get part of the legacy, assets, or even discussing the custody of kids. Not everyone has a will today, or updated it, or even told their close ones where it could be found — even when it’s crucial to prepare the inevitable and to prepare for the lives of those who stay. We used to speak of the life, and afterlife. Two distinct worlds. A third space has also been growing these past years, overlapping both, intertwined, a space where time does not matter and where we spend more and more time. A place where newspapers do not become yellow and crispy, where pictures do not fade, where things are crystallized, and your alter ego can be put on pause for a few decades without changing, still loving the same music, living in the same place, reading the same things. You guessed right, that’s the digital space — a space we live in (and sometimes fall asleep in), surrounding nearly each of our steps (yes, that smartphone in your pocket), but that we don’t often see as a world in itself because it’s precisely out of time. So, chances are even more higher that you’re part of the majority without a planning for your digital belongings. Let me ask you a simple question: if you were to die today, would your family and close ones have the keys to access your digital property, such as bank accounts, insurances details, and so on? Would you like them to go through all of your correspondence or use your onlines IDs ? Have you had the idea before ? I guess that if you are currently reading this, you may be part of the next generation of digital producers, and that you look forward being proactive in the transmissions of your electronic stuff. Doing so also gives control over the becomings of your goods: things are going to be done, and it’s always preferable to be sure that they correspond to what you would like to happen. Numbers show that your digital legacy is growing day by day. As an estate litigation said, we are shifting from love letters and shoeboxes to emails and USB drives. McAfee, the security firm from Intel, revealed in 2011 that americans own digital assets up to 55.000$#. The Research firm MSI International has reviewed 3000 users in 10 countries, who in average estimate their digital possessions around 38000$. Assets can be divided in different categories : personal records account for around $7000, $3800 in career information, $2,848 in hobbies and projects, $2800 for Personal Communications and $2100 for entertainment files. And numbers? Let’s have a look at the numbers. 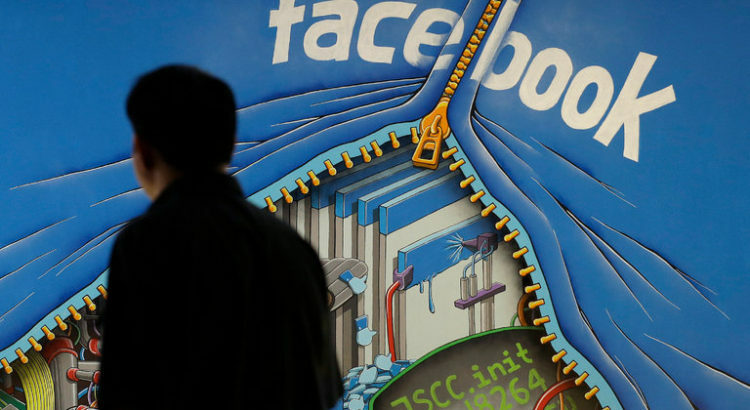 Today, estimates say that 3 facebook users are dying every minute. Digital natives obviously are there as well, but baby boomers are shifting to an online presence as well. Or you can also say that around 600,000 US facebook users will die this year. By the end of 2012, legal aspects are still unclear#. Some, like Massachusetts Senator Cynthia Creem or other US policy makers, are working towards more transparency in the legacy of digital assets — making it the digital legacy law a federal matter. On the other hands, the services providers may not want to do so. In these times of turmoil, what will become of your treasures, such as your financial assets, personal effects, and all the things you value, like pictures, notebooks, correspondence, … ? Lastly, there is a part of monetary value, but you also have to consider the sentimental value. But I guess you know that better than me, right? The online ecosystem has opened new doors in life management and the different facets of your life. The ease of creating separate accounts makes it possible to categorize our online assets. Emails for work and for family can be stored on different accounts, and the sport club you manage can be linked to a third identity. To stop there, the best example is the difference between a game online currency and your bank account — while seeing the connection : “Some people who play videogames a lot develop characters or weapons with value, and those can be sold,” says Lewis Chamberlain, an investment adviser. “You might have a sword that could be sold on eBay for $800. Those are assets, and you’ve got to plan for that.”. Of course, you may have some datas you don’t want anyone to see. You may also have different aspects to your life and would like to keep these aspects separated, in which case it may be a good practice to separate them digitally. Federal Criminal Legislation. The Federal Government enacted the Computer Fraud and Abuse Act (CFAA”) in part to criminalize internet theft, data theft, computer hacking, and other forms of internet crime. As written, CFAA criminalizes the unauthorized access to any computer, online service or online account. Unfortunately, to determine who may and may not access a specific account, even with the explicit permission of the account holder, you must read the service or account provider’s Terms of Service contract. As an example, Facebook’s Terms of Service Agreement prohibits anyone from logging into a user’s Facebook account, other than the user themself, even with the permission of the user. Therefore, a family member, friend, or even a fiduciary that logs into a Facebook account, using the password provided to them by the user themself, has violated the Terms of Service contract and is now committing a federal crime under the CFAA. Fortunately, the Department of justice has made it clear that they are not looking to enforce the CFAA when dealing with simple violations of online Terms of Service contracts, unless there are other more criminal factors involved. However, as advisors to our clients, and to fiduciaries such as Power of Attorneys, Executors, and Trustees, can we ethically advise clients to access digital assets and accounts where we know that they will be committing a crime under the CFAA? Further, if our fiduciaries do decide to access such accounts and commit a crime, how will we respond to a challenge from an unhappy beneficiary who is aware of the access and its violation of the CFAA? B. Federal Privacy Legislation. In addition to the criminalization of unauthorized access of digital assets and online accounts, the Federal Government has also passed the Stored Communications Act (“SCA”) which creates a right to privacy for data and information stored online. Similar in nature to the federal health information privacy act (often referred to as HIPAA), the SCA creates specific guidelines as to whether, and when, providers of electronic communication services and holders of online data can release the information. As you will see below, these protections can create significant hurdles for family members and fiduciaries who attempt to access information stored online with these service providers and content holders. 1) Law Enforcement Agencies may compel the release of the information otherwise protected by the SCA through the use of subpoenas and other legal procedures. 2) Service providers are prohibited from disclosing information, or granting access to accounts, to non-Law Enforcement individuals (family and fiduciaries), unless one of the statutory exemptions are met. While there are exemptions for specific situations such and employment related emails being released to an employer or being disclosed during a lawsuit against a business, the main exemption that we should be aware of and plan with is the “Lawful Consent” exemption found in Code Section 2701(b)(3) of the SCA. This exemption allows a service provider to voluntarily turn over (or grant access to) stored information if the recipient has the lawful consent of the creator of such digital asset to access such information. However, this exception only provides that the service provider MAY turn over the information, but does not require them to. In fact, there are several national cases where service providers have chosen not to disclose the information. In these situations where the recipient actually had lawful consent, the courts indicated that the SCA exemption does not mandate the disclosure of the stored information, and that the courts could not compel the distribution of the information under the SCA even through legal proceedings. unauthorized modification or damage of computer equipment. However, Florida-based businesses usually prefer to pursue cases under the federal CFAA for relief because the Florida CCA allows plaintiffs to bring the civil action against a hacker only after a criminal conviction is successful. State Fiduciary Powers. Given the lawful consent exemption to the SCA that was discussed above, several states have amended their state statutes to provide that fiduciaries in their state shall be deemed to have lawful consent to access online information under the SCA. This is intended to open the door to allow service providers to voluntarily disclose stored content without the fear of having to determine on a case by case basis whether the fiduciary of an account holder has been given lawful consent. Unfortunately, to date, only five states have enacted such laws (Connecticut, Idaho, Oklahoma, Rhode Island and Indiana), and another 18 states have a relevant bill introduced (California, Colorado, Maine, Maryland, Massachusetts, Michigan, Missouri, Nebraska, Nevada, New Hampshire, New Jersey, New York, North Carolina, North Dakota, Ohio, Oregon, Pennsylvania, Virginia), with the majority of the pending legislation introduced in the last 2 years. Unfortunately, even the enacted statutes provide little guidance in the form of definitions and procedure, and therefore while certainly a step in the right direction, these enacted and pending statutes have a long way to go to fully fix the access problems. Website and Service Provider Contracts. Online service providers mandate that all users agree to the provisions of a Terms of Service Contract (“TOSC’s”) which governs the actions of both the service provider and the user. Unfortunately, the TOSC’s are a take it or leave it situation, and can not be negotiated by the user. Can you imagine if each user could independently negotiate the terms of his or her contract with iTunes or their email service provider? Therefore we are relegated to accepting the often one-sided terms mandated by the service provider. These TOSC’s often restrict who may access a registered account or service to the individual that created the account, thereby eliminating any flexibility for fiduciaries or other authorized people from accessing the account. Likewise, such TOS’s will usually create restrictions on the ability of someone other than the user to reset or obtain password. In general, it’s the restrictions found in these TOCS’s that set up our fiduciaries for failure under the CFA and SCA. The operation of the Australian Communications Consumer Action Network is made possible by funding provided by the Commonwealth of Australia under section 593 of the Telecommunications Act 1997. This funding is recovered from charges on telecommunications carriers. This work can be cited as: Bellamy, C., Arnold, M., Gibbs, M., Nansen, B. and Kohn, T. 2013, Death and the Internet: Consumer issues for planning and managing digital legacies, Australian Communications Consumer Action Network, Sydney. The authors would like to express thanks to the ‘key informants’ in this study whose views were invaluable in guiding the direction of the report and helping us to map the complex terrain of managing digital legacies. Many of the key informants are from leading archives, telecommunication companies, religious organisations and online memorial companies but due to ethical considerations cannot be named personally in this report. The support from The University of Melbourne and, in particular, the Interaction Design Lab in the School of Computing and Information Systems has been invaluable through the provision of a supportive research environment. We would also like to especially thank the Australian Communications Consumer Action Network (ACCAN), who supported this research through their grants scheme and were proactive and generous in their impartial and professional feedback on drafts of the report. The growing use of software applications in the home, the workplace, and in public places has resulted in the increased production and use of personal digital files. These digital files may take the form of emails sent to colleagues, photos of family and friends taken on a camera or smartphone, music downloaded from a number of different services, or videos taken at weddings or birthday parties. In this environment of increased data production and usage, unavoidable questions arise as to what happens to these files when a person dies. This report considers this question in regards to a broad spectrum of digital media types and services with a particular emphasis on describing the current ownership and privacy issues, which are key to understanding how digital files may be bequeathed to another person. There is, in general, a lack of understanding about the rights consumers have over the digital files they buy or produce that has implications in the context of death. The purchaser of a physical product such as a book, a CD, or a DVD has certain ‘normalised’ rights over the product such as to give it to another person. This is termed ‘the right of first sale’. This allows for gifting, lending libraries, secondary markets of copyrighted work (such as book stores and second-hand record shops) and for bequeathing a collection of books or CDs to relatives and friends. However, regarding digital products and services such as eBooks and music streaming services a different set of distinct and separate relationships are in place and it is not always clear what the consumer’s rights are in the context of death and the bequeathment of digital items. Consumers need to be made aware that when they press the ‘buy’ button on an eBook or music file that they are not really buying anything at all. The appropriate term is ‘rent’ or ‘loan’ as there is usually no transfer of property in the transaction, only a limited right to use. In addition, the delivery methods of digital products are changing rapidly so increasingly there is no physical copy of the digital products, coupled with the inherent ‘right of first sale’ licence embedded within the physical copy. The situation is bound to become even more convoluted with the increase of cloud services to deliver entertainment and other software services where there is no transfer of a digital file or ‘property’ in any meaningful sense of the word from one party to the other. Thus, the ability to bequeath something to another person is challenged if it is not owned in the first place, or if there is no local copy. legal professionals and estate planners suggests the inclusion of a ‘digital registrar’ in a will that states the location and passwords of digital accounts with additional instructions such as ‘delete all files’ or ‘create an online memorial’. Digital files of all types now constitute an important part of our personal and family histories, thus the ability to transfer them to another person is of vital importance for the transfer of family heritage from one generation to the next. The loss (or at least changing nature) of certain property rights within the digital economy impede the ability to transfer some copyrighted material to others, thus consumers need to be aware of this and create strategies to prevent their important digital legacies being lost through non-transferability. Companies within the digital economy also need to make consumers aware of their rights over materials such as music and eBooks as there are still many misunderstandings about them that originate in the normalised copyright relationships of the pre-digital economy. Companies also need to create new products to make the task of planning and managing digital heritage easier and there are positive steps emerging in that direction. In previous generations only individuals with a public profile, such as politicians and leading entertainers, needed to be concerned about their posthumous media legacy. For celebrities a life in the public spotlight was a matter of record with key events, relationships and achievements recognised and documented for private and public purposes. For these individuals, a legacy of letters, papers, photos, films and other aspects of a prominently recorded life needed to be managed and curated for the historical record; perhaps to be donated to an institutional archive or given to family members for use in family histories and memoirs. It is arguable that today this situation has been democratised, and in a sense, almost everyone is a celebrity in so much as ordinary people are routinely creating a digital record of everyday life and in the course of everyday life are assembling a media legacy of considerable personal volume and importance. This digital legacy will commonly include email accounts of work-related or personal emails, social network accounts on services such as Facebook and Linkedin, music accounts on services such as iTunes and Spotify, images on services such as Flickr or Picasa, videos on services such as YouTube, documents of many kinds on cloud storage services such as DropBox – some of which may be encrypted, and books and newspapers on services such as Kindle. In this context, what happens to our ‘digital legacy’ upon our death, and how it may be passed from one generation to the next, has become an increasingly important question. Some aspects of our digital legacy may have a monetary value, such as online auction, gambling and financial accounts, and some aspects of our digital legacy are of personal value, such as videos, documents and photos. Digital technologies are increasingly utilised in daily life and are important records of a life lived, especially to friends and family who wish to remember us. Without considering the management of this digital legacy, there is a danger that it will become inaccessible and/or destroyed when a person dies. It is the responsibility of consumers to be proactive and manage their digital legacy, but digital services providers also have a responsibility to provide quality services, and locatable information and policies to assist in this process. This study of digital legacy has drawn from a mixed-method approach that relied on three sources of information. The first was information provided by ‘key informants’, that is, semi-structured interviews with a number of individuals in various professions and industry sectors that have expert knowledge of the issues surrounding the management of digital legacies in the context of death. These professionals included spokespeople for various religious groups, senior executives of telecommunications companies, estate planning lawyers, moderators of online memorial sites, Internet service providers, and national and institutional archives. For ethical reasons, and because of some restrictions by their employers, the informants’ quotes remain anonymous in this report. The second source of information was the literature on death, memorialisation, and digital legacies, and our interview questions and subsequent responses were contextualised within this literature. The third source of information was the existing terms of service and policies of leading social media and telecommunication companies that provide services relevant to digital legacies and digital memorialisation. Using this approach we were able to develop a generalised, conceptual understanding of the key considerations for bequeathing, memorialising, and preserving digital materials in the Australian context. Each digital media type, along with their associated industry and service provision, differ in terms of how they approach the death of a client and given this scope it is not possible here to provide a comprehensive view of the landscape. Nevertheless, some key and consistent issues emerge that primarily circulate around notions of ‘property’ and ‘privacy’. The issues associated with consumer rights in terms of ownership and transferral of digital files are emerging in debates in the US and EU, but have not yet matured in the Australian context. These debates have implications for the many issues associated with digital legacies and bequeathing digital materials. There is a variety of different places where data may live and if someone passes away questions arise as to whose data it is (Chief Regulatory Officer, Major Australian Internet Service Provider). Conditions [terms of service] can change rapidly and often allow for retrospective re-writing of the conditions (Adjunct Professor of ICT, University of Melbourne). 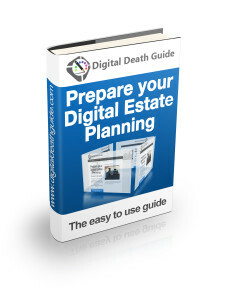 So while there are well-established procedures for locating, valuing and transferring ownership of physical property such a real-estate, cars and books, the task of locating, accessing and disbursing digital assets after death is often more difficult. For example, many online services (i.e. Facebook, iTunes) have Terms of Service agreements that disallow the transferring of an individual’s account to another individual. The companies in question have agreed to provide a service to a named individual: the agreement, and the service provided, terminates upon that individual’s death. Many years of photos, videos, text files and other digital files and documents uploaded to an online service may be lost forever if posthumous access to them is not arranged and local copies are unavailable. In physical items it is the physical item that embodies the licence and effectively the physical item is the licence, whilst in a digital transaction, the digital transaction defines the terms of the ownership, if any (Adjunct Professor of ICT, University of Melbourne). A common-sense solution to this problem that appears to be emerging is for individuals to provide a list of services (Flickr, PayPal, Facebook, Dropbox, etc. ), and to provide the relevant username and password for each service, along with instructions for friends, relatives and the Executor of the Will to execute upon a person’s death. Common-sense though this may be, it is often against the Terms of Service of many US service providers (Gmail, Hotmail) who prohibit the transfer a username and password to a third party, and forbid any individual from accessing another person’s account, deceased or not. Other online service providers (particularly Australian providers such as iiNet and Telstra) do allow this and consider an individual who has been given the username and password to be an authorised agent of the account’s owner. Of course, for all practical purposes, the identification of the person using the username and password cannot be verified. I can bequeath any physical item under my control before I die, but with non-physical items we usually only have a licence to use so it may not be possible to bequeath (Adjunct Professor of ICT, University of Melbourne). As with the issues of digital property rights determining what may or may not be done with digital files, privacy is also a key determinant in the Terms of Service policies that guide the use of social media and other software applications on the Internet. Much of the communication that occurs online is between one individual and another and is private in nature, thus Terms of Service policies are designed to protect the privacy of an individual, even in death. Email is a good example of this privacy issue. Email is one of the oldest and still most common communication modes on the Internet and like paper letters, emails are usually context-specific, personal in nature, and not meant for broader public consumption. Email services such as the US­based Gmail and Hotmail are conscious of this and have strict rules that forbid access to the email associated with a deceased person’s account. Thus emails will be inaccessible and destroyed if provision for preservation has not been made for them before the death of the account holder. This being the case, if someone wishes to bequeath their emails they must take steps to archive and store the emails locally, rather than relying entirely upon the email service provider to make them posthumously available. Although not well publicised, an emerging approach to managing digital legacies is the ‘digital register’. Passwords and account locations may be recorded in a digital register to accompany a last will and testament and agencies such as the State Trustees of Victoria do recommend this. A digital register contains the locations and passwords of online accounts so that the digital media and files that they hold may be given to friends and relatives. This register can be prepared by an individual, or can be prepared with the assistance of a legal specialist in wills and deceased estates. It is also possible within a digital register to request the closure of some or all online accounts upon death so that sensitive or irrelevant material is deleted. However, the ability to include a digital register within a will is generally not well-promoted by specialists in wills and deceased estates nor other institutions that manage the affairs of deceased persons. Although there is much information available online, such as templates and other guidance for creating a last will and testament, there is little in the way of guidance for the broader management of digital legacies. Thus it would appear much more educational work needs to be done in this regard. We need to know who their next of kin is or who is the executor of their estate or what their instructions are for that data stored in their account (Chief Regulatory Officer, Major Australian Internet Service Provider). Identify Digital Assets: An audit needs to be done of all digital assets. These may include iTunes, Flickr, videos, Facebook, LinkedIn, domain names, blogs, web sites, email accounts, application software, eBay, PayPal, online gaming accounts, YouTube, eBay, phone apps, data held on the cloud, Amazon, Google Docs, Dropbox, and other data storing facilities that may be associated with work, hobby, or personal business. Nominate a Digital ‘Executor’: A decision needs to be made about who is going to manage the digital assets upon the death of the individual concerned. This is usually the Executor of the Will. They should have the technical skills to locate and access accounts, to identify the files associated with these accounts, and to carry out instructions in respect of these files. Alternatively, a friend or family member may be nominated to assist in this regard. A digital register and associated instructions may be included as an appendix to a will, and like the will, should be kept in a safe place known to the executor. Commercial service providers (e.g. Security Safe or Legacy Locker) offer specialist services that will store important data and passwords that allow nominated individuals to access accounts and files in the event of death or disability. List Locations and Access Methods: Details need to be provided on where to find digital property or assets, and clear instructions need to be given on how to access files and groups of files, and what to do with them upon death. It is important that information about locations, usernames and passwords are up-to-date and retained securely. Finding and gaining access to accounts after death can be extraordinary difficult, if not impossible, without this information. Enabling a digital legacy to be disbursed or deleted as appropriate also reduces the possibility of identity theft and the possibility of reputational damage and distress brought to friends and relatives should privacy be violated upon death. Prepare Paperwork: If accounts are to be closed upon death, most companies require a formal process in which proof of death is provided (usually a death certificate or published obituary notice) by a person authorised to act on the deceased behalf (usually the Executor of the Will). They may also require proof that this person is authorised to act on the deceased’s behalf. Decide what should happen to the content of files stored on cloud services, messages stored in email accounts, images stored in photo sharing accounts and so on. There may well be many thousands of files in these accounts, and providing individual instructions for each may be impractical. Thoughtful categorisation of files into archives is a useful thing to do for everyday purposes and will also make the job of deletion or disbursement of a digital estate much easier and more effective. offer a download facility. However, once the data is downloaded and stored locally it is also important to consider its safety in terms of privacy. If stored on a removable hard-disk for example, consider password protecting or encrypting the disk and keeping it in a secure place, or giving a second copy to a trusted friend or relative for safe keeping. Decide if an individual social media profile will be deleted or memorialised (see Online Memorials section below for further discussion). Or, alternatively, if a memorial site would like to be established as a legacy. If converting or creating a memorial profile it is important to consider what content will be on display, who will be able to view it, and who will be curating or moderating any posts made to the site. Downloading and archiving Gmail or Hotmail accounts is a little more difficult as it requires a local instance of a software application such as Thunderbird to download all the emails so that they can be read and stored locally. Once emails have been downloaded, it is possible to export them in different formats and in complete folders. The emails can be associated with a particular project or a particular family member or friend. Other emails that are either personal or irrelevant can be deleted. 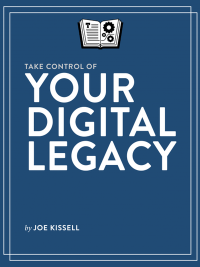 In light of the fact that many of the practices and products associated with managing digital legacies are new and in flux, the digital archivists we contacted recommended that consumers be proactive and largely take responsibility for their own digital legacy. Consumers should periodically download and archive all digital files (photos, tweets, videos, documents etc.) and keep them locally on a portable hard-disk. Using this method it is possible to curate the storage disks in such a way that only the files that are wished to be included are available to the friends and relatives of the deceased. Sensitive or irrelevant information should not be included in the archive and may be deleted with the requested closure of online accounts upon death. Only the information on the curated storage disk will be available; perhaps for use in an online memorial or in a family archive. The stuff we create is often just the record of what we do and how we live our life and was never meant to be published and there are ethical questions about who should see what upon our death (Associate Professor, Digital Archives, The University of Melbourne). Once all the data is gathered in one place, it should be put into a simple folder structure. There are no strict rules here but generally the simpler and more straight-forward the better (such as ‘photos’, ‘music’, ‘emails’ or ‘Project X’). ‘Metadata’ or contextual information about the items should also be placed in the folder so others know what it is. This may be in the form of a simple text file that describes what is in the folder, where it was created and why, dates, and any other important information considered relevant for use in a family archive. Google’s Picasa photo sharing system has face recognition software to automatically name-tag all the individuals in family photos. The digital archivists we contacted in the study also recommended considering issues of significance when consumers plan their digital heritage. Important events such as weddings, vacations, graduations, and other life achievements should be deliberated upon in the selection process. If it is important to you, you need to have a copy outside of that (online) system because in the future it may fail (Associate Professor, Digital Archives, The University of Melbourne). With all the data arranged in folders and in one place, it may be then placed on a removable storage disk. It is advised by archivists that storage devices such as DVDs, CD ROMS, and flash drives should not be used because they are fast-changing formats and may not be accessible in the future. Also, online cloud services and other digital repositories should be treated with caution as they also may not be around in the future. It is better to use two removable hard-disks, one to be kept in a safe location and one to be given to a trusted friend. In this way, if one of the disks is damaged, then there is a backup copy available. The disks must be updated regularly to make sure they contain relevant information, and also the actual disks should be replaced every 2-5 years. where the data came from and what date it was downloaded (Associate Professor, Digital Archives, The University of Melbourne). Digital preservation is an active and ongoing process and it is important to intervene in the process and manage digital legacies over time. Another tried and trusted method is to print out important documents and images and store them in a filing cabinet as acid-free paper remains one of the most proven long-term preservation formats. Although personal digital archives are a practical response to the management of digital legacies and are one of the more promising solutions to the preservation of digital files over time, they are also highly reliant upon consumers taking the initiative and responsibility for their own digital heritage and the number of people who are actually doing this or plan to do this in the future is not really know. In addition, how individuals will repurpose the digital artefacts of the deceased in the future is also not clear. There is an opportunity for an institutional or commercial response to this problem in the Australian context; to create archival cloud-based preservation services that can guarantee to store and repurpose digital artefacts in the long-term with appropriate access, sharing rights, metadata, and preservation formats to insure their survival. Apart from challenging issues associated with the preservation and bequeathing of digital artefacts, a related consideration for digital legacies are the possibilities enabled by the Internet for communicating news of a death or commemorating the life of the deceased. 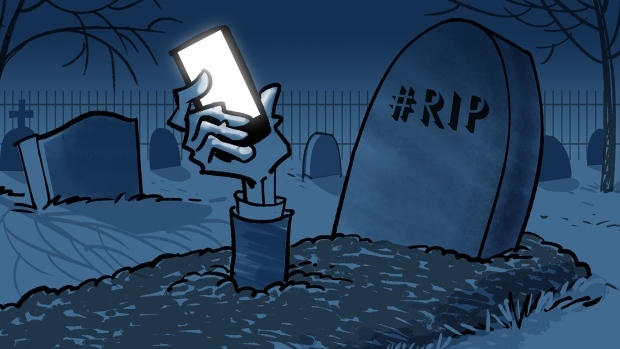 The death of a person can easily be announced or discovered through an online service such as Facebook, LinkedIn, or Twitter; whilst the life of a person can be commemorated through a growing range of online memorial services. Online memorials are an extension to previous memorial services and for a small cost allow a broader public reach (General Manager, An Australian and New Zealand online memorial service). The first dedicated online memorials appeared in the 1990s, were usually associated with funeral directors, and were primarily stand-alone web pages build by technical savvy individuals for their own family members or friends. A number of companies subsequently offered memorial services to individuals, again usually associated with funeral directors, but also as standalone systems that were not always tied into the funeral service (e.g. Much Loved, Heavenaddress.com, Onlinememorials.com.au, Legacy.com). Online memorials are about how people cope once someone dies (Chair, An online memorial charitable Trust, UK). deactivating deceased accounts to placing them in a ‘memorialised state’ occurred in relation to a number of significant events and user responses, including the death of a Facebook employee in 2005, the Virginia Tech massacre in 2007, and the introduction of functions that generated suggestions to ‘reconnect’ with friends (including dead ones) in 2009 (Fletcher, 2009; Kelly, 2009). At the time of writing this report, Facebook was the only high-profile social media company to seriously articulate policies and provide services for ‘memorialisation’ of user profiles, partly because of the size, nature, and public profile of the company. This policy and service could be considered industry best-practice and as with Google’s ‘Interactive Account Manager’, it is hoped that other companies provide similar services to sensitively manage processes associated with the death of their users. dies, and this is not an easy decision (Chair, An online memorial charitable Trust (UK)). Family conflict, based around second marriage and children from various marriages may cause conflict if the site is not moderated carefully (General Manager, An Australian and New Zealand online memorial service). If the profile remains active in memorial status, it may be used by friends as a place to gather and reminisce, and as an ongoing reminder of the life that was lived. Indeed, many people cannot bear the thought of closing down the page of a loved one, particularly where social networking was important to the relationship. Be aware, however, that online memorials open to the public may become a target for online vandalism – such as so-called R.I.P trolling – some of which can be very hurtful, whilst memorials with appropriate privacy settings may become a site for family disputes to be played out. This means that moderation (that is, editorial control) of comments on the site is required to ensure the appropriate tone and content is used, and someone should be delegated to perform this task (again, perhaps noted within a digital register). 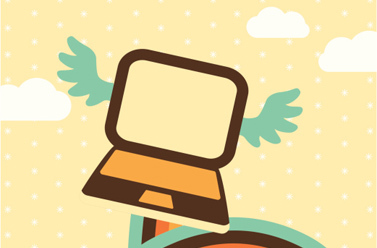 In the case of commercial online memorial services, moderation is usually done in-house by the service-provider. Sometimes people don’t have someone to talk to and online memorials are a way of communicating with others. But some online memorials are used to vent family issues so moderation is important (General Manager, Australian online memorial company). indefinitely into the future. This is why personal digital archives are important and local copies of photos, videos or other data should be stored safely on a removable disk. Despite the growth in Facebook memorials and other online memorials, their use is still fairly new and evolving and is not yet normalised in the same way as traditional memorial practices. As a result, online memorialisation has been subject to public debate and controversies around issues such as appropriate conduct and interaction and responsibility for administration and moderation (e.g. Kohn et al., 2012). Again, managing a digital legacy means that due consideration to all of these issues needs to take place before death. …technology must not take over the character of the (funeral) occasion and this is not a problem of the technology, but how is how it is applied. Place, community, and embodied relationships shouldn’t be discounted by the abstract, disconnected nature of the online memorial (Senior representative, Church of England, Melbourne). There has been a substantial shift in funeral services towards the celebration of one’s life away from fear and judgement. More symbols of one’s life are used in a service; photographs, videos etc. and at least half or more funerals have an audio /visual aspect to them now (Catholic Priest, Melbourne). neither hardware nor software have a useful life extending to decades. Companies must be trusted to continually migrate the content of memorial sites to contemporary software and hardware platforms – which can be a costly business. For a memorial to be guaranteed into perpetuity, it requires the guarantor to survive into perpetuity, and already a number of online memorial companies have gone out of business. Consumers should check the health of the company through assessing how many memorial pages are hosted and check that protocols are in place to migrate sites to new technologies when required. As always, it is good practice to keep local copies of text, images and other media types that are submitted to a memorial (or any other site) within a personal digital archive so that they may be bequeathed to others family members or friends. We have a 10 year end point on our memorials because we thought this was ample time for bereavement but at the end of ten years people can keep it if they want (Chair, An online memorial charitable Trust (UK)). In this section of the report we describe some of the common media types used by consumers and the challenges relating to them in terms of bequeathing them to others. There are many limitations to the bequeathment of digital media to others and, as previously noted these limitations are associated with some defining issues of the digital economy: property and privacy. There are, perhaps predictably, numerous misconceptions circulating in the popular press, perhaps originating in the pre-digital era, about the assumed property rights that consumers have over digital media, especially music and ‘the right of first sale’ (i.e. to give or sell copyrighted material to someone else) (e.g. Bradgate, 2010). But the general rule is that unless the music was written by the individual consumer, then it is not owned by the consumer and again if there is no physical copy, then there is no ‘right of first sale’ (nor bequeathing to others). This general rule may be applied to other media types as well, although with some media types (or communication mechanisms) it is not issues of property that are key, but issues of the protection of individual privacy. In the following we list some of the important issues in key media types as they relate to death, bequeathing and privacy. This is by no means an exhaustive list; nor are the issues we flag stable or resolved. The digital economy is contested and in flux and many of the processes that deal with digital media in the context of death do not have a developed legal framework, business processes, or social norms to guide practice. From our research into the terms of service of the key players associated with each media type, coupled with discussions with the key informants who contributed to the study, we outline the issues relating to the bequeathment of key digital media types. Digital music is often licensed for individual use and thus cannot be bequeathed upon the death of an individual (i.e. iTunes, Spotify). The copyright of the digital music is held by the person who created the music and the licence allows consumers to listen to the music. Companies such as Apple have complex consumer software licences that once clicked are binding, and certain legal rights are given away (as when a document is signed). In effect, when using a service such as iTunes the individual is entering a contract with Apple and the contract, or ‘Terms of Agreement’, outlines what can and cannot be done with a digital file. The licences are in place to protect the producers of the music, who give it to Apple under the provision that Apple will protect their interests, as well as the interests of the consumers. It is important to note that under Apple’s Terms of Agreement Apple will not replace digital files and files can only be downloaded once, thus any transfer of files is potentially illegal under US copyright law. If a file is lost, Apple will not replace it, thus personal backups are important. Indeed, when an item is ‘purchased’ from iTunes, it is not actually ‘owned’ by the individual who purchased it. The individual is paying for a licence to listen to the music, not to own its content, as the content is owned by the artist, or company, who owns the copyright. file is in the public domain and thus has few or no intellectual property rights upon it. This means, in effect, that the music can be used by the public in certain ways, but cannot be owned by an individual and thus cannot be bequeathed in a will. Copyright of a photograph is owned by the individual who took the photograph, unless the rights are specifically given to another. Uploading a photo to the web doesn’t change this and copyright is retained by the photographer. Thus photos can be bequeathed to another person in a will and many professional photographers, who earn a living from their photos, do this as a matter of course. In the case of popular services such as Flickr, users may choose an All Rights Reserved licence for their uploaded photos, or a Creative Commons licence. A Creative Commons licence is a series of licences that limits what users may and may not do with photos, such as reusing them for commercial purposes or using them without attribution. In the case of other popular systems for publishing photos, such as Facebook, the copyright is still owned by the photographer. The Terms of Service grant Facebook the right to reuse your photographs in certain features of the system, but this is primarily determined by the user’s privacy settings. Other systems may have differing copyright provisions and it is always prudent to check the Terms of Service before uploading images to a particular service. In many communities around the world, photos have come to play a significant part in the documentation of family history, and considering how they will be maintained and bequeathed is important. Although online systems are convenient places to share photos, they are often published in a compressed and low-quality format. It is best practice to retain copies, in the best quality possible, along with the important information about where they were taken, dates, and people in the photo. Many digital cameras allow ‘metadata’ (descriptions about the photo), to be written into the file, or this can be done once the file is transferred to a computer. When an Aboriginal person dies, it is a major event and people will travel from all over the region to attend. If someone cannot attend, then they will send a fax to apologise. The funeral is a very social event and at the event a Memorial Booklet of their life story is often produced. The Memorial booklet may contain several pictures of the deceased and this is one way in which the practice of forbidding the public display of images of deceased Aboriginal people is changing. Another way is that family members may keep one or more photos of the deceased for viewing privately, but the main issue is most remote aboriginal groups do not allow the photographic representation of Aboriginals who are deceased, but this may differ from region to region (General Manager, Indigenous association in remote Australia). of the YouTube system, and use your videos to raise revenue through adding banner advertisements to them. However, the licence that YouTube has to use your videos is terminated once the videos are deleted from the service. YouTube’s Community Guidelines and Terms of Service give further guidance on this topic. Along with photos, videos now form an important part of family history so it is important to consider their long term maintenance. As with photos, it is best practice to keep the best possible copies of the digital files in a local folder using popular formats such as MP4, ensuring that additional contextual information accompanies the videos to enable future generations to appreciate their content. As with digital music, eBook files are usually licensed for individual use and cannot be bequeathed. The terms of service give you the right to use the file, that is, read the book, but you do not own the file: your right to read may expire on a certain date, and the file can often only be read with proprietary combinations of hardware and software, such as Kindle. In some cases your licence may be extended to friends or family, but the ownership of the file still remains with the e-publisher. An important exception to this are books that are out of copyright and have been digitised and made available under a Creative Commons licence by organisations such as Project Gutenberg and Google Books. These copies may be bequeathed as in effect they are not owned by anyone. There are many advantages to eBooks, but bequeathing is not one of them. If an individual is concerned about the inter-generational longevity of their library, it is best to buy physical copies of the book in the first instance, and not the eBook version. The physical copy can then be bequeathed in a straightforward fashion. Books are an important component of intellectual development and again form an important component of family history. The seminal and important books that one reads and wishes to pass to others should be in physical form. 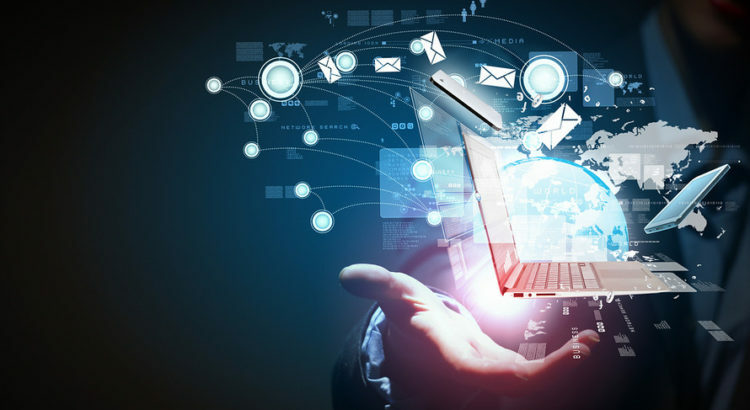 Email is one of the more problematic communications applications on the Internet in terms of privacy, bequeathing, copyright, ownership, and archiving. It is also one of the oldest and most popular uses of the Internet with many personal archives dating more than 20 years. It is seen by many as a more mature person’s medium as younger generations have in large part moved to social media for communications. It is also more likely to be used for professional as well as personal purposes. In terms of archiving, many large organisations will store emails for a defined period of time. But there are no certainties of this, and emails will usually not be stored indefinitely. There are many issues in the preservation of emails in large companies and many of them are technical (Associate Professor, Digital Archives, The University of Melbourne). email systems. Even where this is not the case, individuals who want their personal emails to remain private will usually maintain a private email account (on say Gmail or Hotmail) in addition to their company email account. Privacy concerns arise because many companies will monitor all emails on their email systems to check compliance with broader company policies. Thus there are a number of things to consider when bequeathing email. Email may well be personal correspondence intended for the recipient only, and one may wish to think carefully about archiving this correspondence, and if archived, to whom it is to be bequeathed. Personal correspondence between siblings, partners and friends may well constitute a valuable archive to pass to loved ones but some email should be considered private, even in the context of death. There may be mechanisms in place for intergenerational transfer of materials but there also needs to be a respect for the record and the personal stories that they represent (Associate Professor, Digital Archives, The University of Melbourne). Organising personal and professional correspondence in a thoughtful way is necessary if it is to be effectively archived and bequeathed (and again the responsibility here falls upon the individual). Most locally installed email clients enable emails to be stored in nested folders, and the structure of these folders should clearly separate out different categories that represent the context in which the emails were produced and lay out a coherent history of correspondence. In this way the archived email will be comprehensible in the future not just to the author, but to the beneficiary. Email needs to be separated between a business environment and a personal environment. The data in an email account usually belongs to the account holder but in a business there is an argument that the email belongs to the company and it may be very difficult to gain access to company email if someone has left that company (Chief Regulatory Officer, Major Australian Internet Service Provider). If individuals want their emails to be readable for decades or more, they should be saved in an archival format, such as plain text, rather than the email program’s proprietary format. All proprietary formats are subject to rapid obsolescence. The procedure for dealing with mobile phones and the SMS texts and data that they contain differs between service providers but in general the larger service providers have established policies to deal with the death of a client (Optus, Telstra). Procedures usually require the next of kin to contact the service provider on their customer support line and notify them of the death. The next of kin or authorised representative must provide the appropriate evidence of death, such as a funeral notice, a death certificate, or a statutory declaration confirming authority to act on behalf of the deceased. The next of kin or authorised representative is then required to complete and submit a form outlining what is to happen to the particular accounts. retained and call records, text messages and so on may also remain available. Text messages are usually stored on the phone, so if the next of kin has access to the phone and the phone password, they will also be able to access the texts. Telecommunications providers do not provide a service for a client to request that their phone account be deleted upon their death, which does raise some privacy concerns. However, even if this was the case, there is still the possibility that the next of kin and authorised representative can have access to the phone handset itself, and if unlocked, will be able to access texts, recent calls, contacts and so on, regardless of the telecommunication company’s policies. Telstra doesn’t require a death certificate but the customer must have the appropriate authority such as Executor or be the Next of Kin. The account can be either closed or transferred to another individual after filling in a form or through ‘voice signature’. A password holder is an authorised user and can change details on an account and it is transferable (Senior Executive, Major Australian Telecommunications Service Provider). Web sites and domain names may be bequeathed to another person with instructions given in a will and accompanying digital register. The regulator of domain names in Australia, auDA, has a policy for transferring ownership of domain names to a deceased person’s estate that applies to the particular registrar with which the domain is located (such as Melbourne IT or Netregistry). In the event of an individual’s death, the domain registrar should be contacted and appropriate evidence of death supplied. It is then a matter of transferring the domain name and the account associated with it to another person (there may be a fee for this service). Another important consideration here is that the domain registrar and the web site host may be two different companies. If this is the case, the web site host will also need to be contacted and again, appropriate evidence supplied. Access to the web site files can be granted to next of kin or nominated person and the account’s name and files transferred to the nominated person. Many online systems and service providers do not have procedures in place to cater for the death of a user. The ability to designate an inheritor of personal data files or to request their deletion, according to the user’s preferences is missing in many systems and services. Google appears to be one of the only innovators in this regard (through its Inactive Account Manager). The lack of these services creates privacy concerns for the deceased and unnecessary complications for the next of kin. There are significant internal inconsistencies and recourse to ad-hoc arrangements in how some companies deal with the death of a client, especially relating to personal data. A lack of clear or consistent options from service providers means that individuals need to take responsibility for their digital assets. Most importantly, this includes creating and maintaining a local archive of important digital assets, making decisions in regard to the disbursement of them, and leaving clear and accessible instructions to enable them to be accessed, deleted or disbursed as appropriate. The importance of creating personal digital archives is not well-established in the popular imagination and the products and services available to facilitate this are inadequate. Digital service providers could offer much more leadership in this respect. There are also neither established mechanisms nor customs for re-repurposing the digital artefacts of the deceased. Best practices such as personal digital archives are still evolving, and must be assembled from multiple sources. Protocols and practices for bequeathing digital assets alongside material and financial assets in the context of a legal will and ‘digital register’ needs to be further developed by relevant agencies. Concepts of digital property and the rights consumers have over digital files are not always clear and consumers need be aware of what can and cannot be bequeathed. The governance of memorial sites is generally a shared responsibility undertaken by the proprietors of the online memorial sites and the friends and family of the deceased. There is potential for vandalism and for conflict on these sites and they need to be carefully managed. If legal cases in the EU and law reform debates in Australia (Copyright and the Digital Economy, Australian Law Reform Commission, Issues Paper, 29 June, 2012) alter notions of the right of first sale to extend to digital products such as software, eBooks, and music this will have significant implications for bequeathing some digital products (see Further Reading). The literature on, and implications for, digital legacies is broad, covering many fields and disciplines of research. There has been growing interest within the archival, library studies and digital humanities communities about the issues that surround the preservation of personal data and the creation of ‘personal digital archives’, but few studies focus specifically on death and bequeathing data and digital files (except for the work of Carroll and Romano, 2011). The larger body of work on online memorials has largely been positioned within a research approach that considers the psychology and sociology of grief and support and this connects with a wider literature in the social sciences that examines death, grieving and memorialisation (e.g. Aries 1983; Hockey, Komaromy and Woodthorpe 2010; Kellehear 2007; Robben 2004). Studies of online memorialisation have looked at the use of online sites for things such as sharing of grieving, remembering, commemorating and providing social support (e.g. Jones 2004; Roberts and Vidal 2000; Sofka 1997; Veale, 2003, de Veries and Rutherford, 2004). More recently, following the popularisation of social networking sites, attention has turned to social networks with particular focus on the practices of teenagers (Carroll and Landry, 2010; Williams and Merten, 2009). Computer interaction and interface designers have also become increasingly interested in addressing the many design challenges presented by the development of online memorial practices (Brubaker and Hayes 2011; Gibbs et al. 2012; Mori et al. 2012; Odom et al. 2010). There are also a number of reports that discuss, broadly, consumer rights in the digital economy, such as the Robert Bradgate’s Consumer Rights in Digital Products report prepared for the UK Department of Business Innovation and Skills (2010). Bradgate discusses the issues of tangible and intangible goods and the contractual rights that are lost or transmuted in digital products, which has numerous implications for bequeathing digital products. The main contention in legal debates in this area appears to be the ‘right of first sale’ (or ‘exhaustion of rights’): the rights that are lost when a copyrighted material is sold in digital form and not physical form. It is legal to sell a copyrighted copy of a CD or book, but illegal to sell the same version that is in digital form because the licencing arrangements when it was ‘purchased’ (or loaned) are different. The ‘first-sale’ doctrine is limited to physical items and there are contrasting and still unresolved approaches between certain courts in the EU and the US on the sale (and transfer) of second-hand digital assets. Legal cases include Capitol Records LLC v ReDigi Inc, in the USA, where a US district court in New York ruled that ReDigi, the operator of an online marketplace for second-hand music downloads, is liable for copyright infringement. In the EU, the Court of Justice in the European Union is taking a divergent approach in terms of allowing the right of first sale for software (UsedSoft v Oracle, C128/11). ~the ALRC introduce an exhaustion of rights doctrine in Australia in order to facilitate secondary markets for software, digital works and subject matter other than works and product that embody software material. The ability of a copyright owner to restrict the transfer of copyright interests as currently permitted under Australian law is a restriction on the ability of an individual or small business to legitimately trade in items of value (p20). If the Australian Copyright Act and in particular, the right of first sale doctrine is altered to accommodate digital products, this will have repercussions for bequeathing digital products, particularly eBooks and music. This review was in progress at the time of writing this report. Dr Craig Bellamy is a Research Fellow in the Department of Computing and Information Systems at the University of Melbourne. His work primarily focusses on the intersection of computing and the humanities, especially in terms of the application of new computing research methods to assist in the research process. He is founding Secretary of the Australasian Association for Digital Humanities and has worked in the field at King’s College London and the University of Virginia in the USA. He serves on a number of Digital Humanities program committees for major conferences and the editorial boards of key journals in the field. Dr Michael Arnold is a Senior Lecturer in the History and Philosophy of Science programme at the University of Melbourne where he teaches and writes about a variety of subjects relating to digital technologies in the social context. Michael has been a Visiting Scholar at the Centre for Applied Research in Educational Technology at Cambridge University UK, a founding committee member of the Community Informatics Research Network, and a Research Associate with the Australian Centre for Science and Innovation and Society. Dr Martin Gibbs is a Senior Lecturer in the Department of Computing and Information Systems at the University of Melbourne. He is a member of the university’s Interaction Design Lab. His expertise lies in the intersection between the disciplines of Science, Technology Studies (STS) and Human­Computer Interaction (HCI). His research contributes to the critical understanding of the social dynamics of using technology by small cohorts of people in non-work settings. He is also the co­editor of a collected work focusing on ICTs and civic engagement, From Social Butterfly to Engaged Citizen, published by MIT Press in 2011. Dr Bjorn Nansen is a Research Fellow in the Department of Computing and Information Systems at the University of Melbourne. He researches the adoption and use of digital media and communications technologies in the contexts of households, families and everyday life. His most recent work has featured in New Media & Society, Journal of Children and Media, Environment and Planning D and the Telecommunications Journal of Australia. He recently received an ARC early career researcher award to study children’s domestic use of interactive media and natural interfaces. Dr Tamara Kohn is a Senior Lecturer in Anthropology at the University of Melbourne. Her research and teaching interests include the anthropologies of the body, leisured practice, and the senses; mobility and identity; personhood, memorialisation and death; and methods and ethics in ethnography. She publishes widely in these areas, drawing on her extensive fieldwork experiences in the UK, Nepal, and Japan. She is currently working on an ARC funded project on ‘Sonic Practice in Japan: sound in everyday life’, as well as researching online memorialisation, with a particular interest in the way in which identities are expressed and enacted through these practices. iTunes, is the registered trademarks of Apple Inc.
Gmail, YouTube, Picasa, are the registered trademarks of Google Inc.
Facebook and Instagram are the registered trademark of Facebook Inc.
Flickr, is the registered trademark of Yahoo Inc.
Dropbox is the registered trademark of Dropbox Inc.
PayPal is the registered trademark of PayPal Inc.
Hotmail is the registered trademark of Microsoft Corporation. Kindle is a registered trademark of Amazon.com Inc.
iiNet is a registered trademark of iiNet Limited. Telstra is the registered trademark of Telstra Corporation Ltd.
AIMIA, Digital Policy Group. (2012) Australian Law Commission Copyright and the Digital Economy, Issues Paper 42 (IP 42), (Submission 4 December, 2012). Aries, P. (1983) The Hour of our Death, Penguin Books. Bradgate, R. (2010) Consumer Rights in Digital Products, A research report prepared for the UK Department for Business, Innovation and Skills, Sheffield, September, 2010. Brubaker, J.R. and Hayes, G.R. (2011) “We will never forget you [online]”: An empirical investigation of post-mortem MySpace comments. In Proceedings of Computer Supported Cooperative Work CSCW 2011. Hangzhou, China. Carroll, B. and Landry, K. (2010) Logging On and Letting Out: Using Online Social Networks to Grieve and to Mourn. Bulletin of Science, Technology & Society 30(5). Carroll, E. and Romano, J. (2011) Your Digital Afterlife, Berkeley, New Riders. Couldry, N. and McCarthy, A. (eds) (2004) MediaSpace: Place, Scale, and Culture in a Media Age. London: Routledge. Crang, M. and Cook, I. (2007) Doing Ethnographies. London: SAGE. Dicks, B. Mason, B. Coffey, A. and Atkinson, P. (2005) Qualitative Research and Hypermedia: Ethnography for the Digital Age. London: SAGE. Dicks, B. Soyinka, B. and Coffey, A. (2006) Multimodal Ethnography, Qualitative Research 6(1), 77– 96. Fletcher, D. (2009) What happens to your Facebook after you die? Time Magazine, 28 October, 2009. Hockey, J., Komaromy, C. and Woodthorpe, K. (2010) The Matter of Death: space, place and materiality, Palgrave. Jenkins, H. (2006) Fans, Bloggers, and Gamers: Exploring Participatory Culture. New York: New York University Press. Jones S.G. (ed.) (1999) Doing Internet Research: Critical Issues and Methods for Examining the Net, Thousand Oaks, CA: SAGE. Jones, S. (2004) 404 not found: The Internet and the afterlife. Omega, Journal of Death & Dying, 48(1), 83-88. Kaleem, J. (2012) Death on Facebook now common as ‘Dead Profiles’ create vast virtual cemetery’, Huffington Post, 7, December, 2012. Kelly, M. (2009) Memories of Friends Departed Endure on Facebook, The Facebook Blog, 26 October 2009. Kohn, T., Nansen B., Arnold, M. and Gibbs, M. (2012) ‘Facebook and the Other: Administering to and Caring for the Dead Online’. In G. Hage and R. Eckersley (eds) Responsibility. Carlton, Australia: Melbourne University Press, pp. 128-141. Kellehear, A. (2007) A Social History of Dying, Cambridge University Press. Mori, J., Gibbs, M., Arnold, M., Nansen, B. and Kohn, T. (2012) Design Considerations for After Death: Comparing the Affordances of Three Online Platforms. In Proceedings of the 21st Annual Conference of the Australian Computer-Human Interaction Special Interest Group (OZCHI’12). ACM Press, New York, USA. Odom, W. Harper, R. Sellen, A. Kirk, D. and Banks, R. (2010) Passing On & Putting to Rest: Understanding Bereavement in the Context of Interactive Technologies’. In Proceedings of the SIGCHI Conference on Human Factors in Computing Systems 2010 (CHI’10). ACM Press, New York, USA. Robben, C. (ed) (2004) Death, Mourning and Burial: a cross-cultural reader, Oxford: Blackwell. Roberts, P. and Vidal, L.A. (2000) Perpetual Care in Cyberspace: A Portrait of Memorials on the Web. Omega: Journal of Death and Dying 40(4), 521-545. Sofka, C.J. (1997) Social support “Internetworks,” caskets for sale, and more: Thanatology and the information superhighway. Death Studies 21, 553-574.
de Vries, B. and Rutherford, J. (2004) Memorializing Loved Ones on the World Wide Web. Omega: Journal of Death & Dying 49(1), 5-26. Veale, K. (2004) Online Memorialisation: The Web As A Collective Memorial Landscape For Remembering The Dead, Fibreculture, Issue 3. Williams, A.L. and Merten, M.J. (2009) Adolescents’ Online Social Networking Following the Death of a Peer. Journal of Adolescent Research 24(1), 67-90.